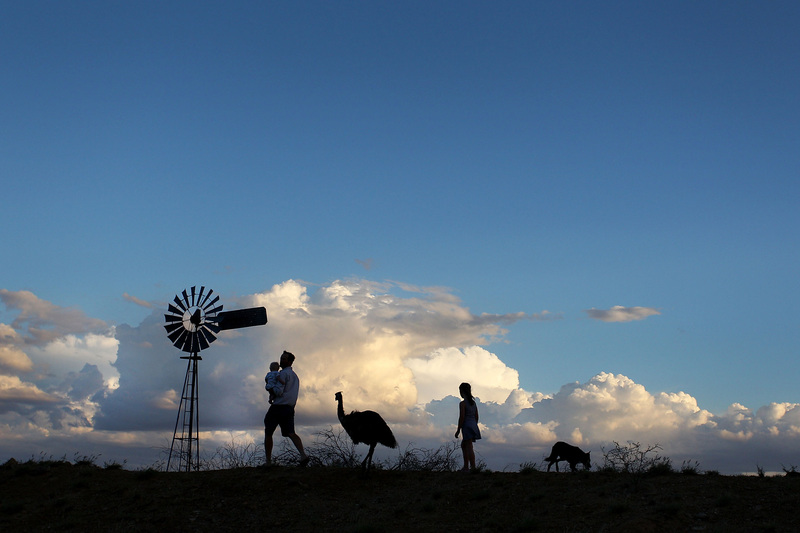 RIO STATION - Nic Walker holds his son Tasman as he walks with Carley Walker and 'Stan' the emu at their property 'Rio Station' on March 18, 2014 in Longreach, Australia. Queensland, Australia’s second-largest state, is currently suffering from its widest spread drought on record. Almost 80% of the region is now declared affected. The Australian government recently approved an emergency drought relief package of A$320m, of which at least A$280m is allocated for loans to assist eligible farm businesses to recover.